Why Are English Words Spelled So Ridiculously? Although I don’t usually talk about medieval times, Monday’s posts are called Medieval Mondays, because I like alliteration. In these posts, I look at the history of the English language. APHAERETIC – adj. Relating to the omission of the first letter of a word (e.g. ’round’ for ‘around’). BOEOTIA — n. A district in Ancient Greece. BORBORYGMUS — n. A rumbling of the intestines. DAGUERREOTYPE — n. An early photographic technology. ORFEVRERIE — n. Gold or silver jewellery. PRAIRILLON — n. A small prairie. PSITTACINE — adj. Relating to a particular family of parrots. RIJSTTAFEL — n. An Indonesian rice dish. SCHEHERAZADIAN — adj. Strangely fabulous. UINTJIE – n. The edible corm of the ‘chestnutty’ Iridaceae family of plants. VITROPHYRE — n. A type of glassy rock. VORAGO — n. A deep chasm. Scheherazadian is my favourite out of these. However, I’m not talking about obscure words, which have clearly been borrowed from another language. I’m looking at the spelling of normal, everyday words. Spellings that don’t make sense. ti, pronounced /ʃ/ as in nation /ˈne͡ɪʃən/. And, okay, that’s maybe a bit of an exaggeration, but there are far too many irregularities in the English language for it to make sense. No wonder non-native speakers and people with dyslexia have a hard time of it. Take receipt. Why is there a p in there? And, before some smart Alec turns around and says “it comes from Latin receptum” (in a really snotty voice); of course it does. The same way that deceit comes from deceptum and conceit from conceptum. Where are their ps? This all goes back to the Age of Reason, the eighteenth century, and the self-consciousness surrounding language at the time. 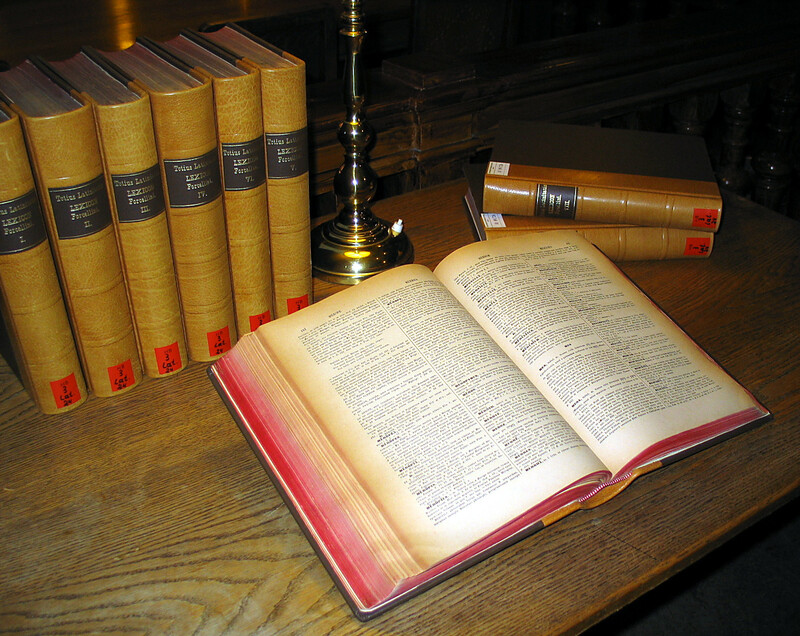 A dictionary of the “prestigious” Latin language. So they took some words which were from Latin or Greek, and stuck in a few letters to prove they were from such noble backgrounds. Debt was once spelled dette, and the b was added to prove it, for example. … However, they made one or two mistakes. Island used to be spelled igland, and Scholars thought it came from Latin insula, and so they introduced an s to show these Latin roots. It actually comes from Old English īegland, so this makes no sense. On the other hand, these scholars did try to make some things easier. To stop English being such a confusing language, words which were pronounced the same were to have the same spelling. Delight, for instance, which comes from French delit, and was respelled so it would match light. However, words such as despite saw no such change. Of course, things like the printing press had a massive effect on spelling in the English language; but that’s another post for another day. Inconsistencies in English came purely from self-conscious, proud scholars, who wanted to show how grand the English language is. The idea that one language is better than another, or more prestigious, is ridiculous and superficial, and has left us a language with more mood swings than a grumpy teenager! As a travel advisor and one whom travels constantly, (I’ve trips in the fall for Ecuador, Switzerland, Tuscany & Ireland) reading signage, local newspapers, maps, etc. while traveling is always intriguing. As interesting is discovering the roots of our Americanized English language in countries where I am traveling. For instance in Paris last year, traveling from my hotel to the Charles de Gaul aeroporte, I noticed a sign “avance en feu” which for the US would simply be a sign which says, “Yield.” The French translation is “Advance in Fire” or in other words, the traffic’s moving like speeding bullets! My maternal grandmother used phrases like “in a few” which is a derivative of “advance en feu”…. Language arts become so alive when you travel! Actually, “avance en feu” means to not go until the traffic light (un feu) turns green. This brings back memories. Thanks for the history behind how these difficult words are spelled. Scheherazadian is my favourite too. I will definitely use that one. Thank you for a lovely distracting post. Now I have five minutes left to get ready and get to work. Hey, who cares about work when you can learn new obscure words? Forgive me, Oh Great Wordy One, but I must correct your spelling…ridiculously. I thought it was intentional! … we’ll go with that!